Does Your Mobility Equipment Need Service and Maintenance? At One Stop Mobility, our team of repair technicians are trained by the best in the business when it comes to servicing and repairing mobility equipment across the Phoenix valley. Our staff of technicians are trained by the leading experts in medical equipment and are trained to help answer all your questions. We have years of experience with all medical and mobility repairs. 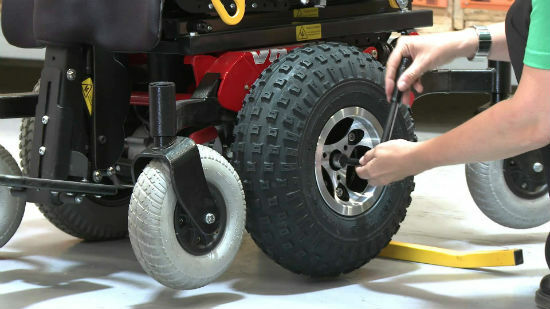 We service and maintain just about all medical and mobility equipment, but our most common repairs include electric power scooters, mobility wheelchairs, power wheelchairs, rollators, walkers, and reclining lift chairs. So if you are looking for a top scooter repair expert in Phoenix, AZ, or are in need of a power wheelchair repair for Anaheim, CA, stop by for a product analysis. Stop by our office on 32nd St and Thunderbird to get the best help in the business and receive a quote for your mobility equipment. For our Anaheim location, be sure to drop by at the Camelot Inn & Suites located on 1520 S. Harbor Blvd.